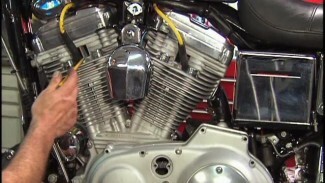 Checking the condition of major fasteners on a Harley Davidson is an important part of every major service. This is where factory torque specs become important. A factory torque spec is an important reference number for two reasons. You need to be certain that hardware is not set too “loose,” and you also refer to a torque spec to avoid over tightening a screw, bolt, or nut. Not correctly tightening Harley hand controls and hardware can be extremely dangerous especially during operation of a motorcycle. Overtightening hardware can cause damage, either immediately or over time. Damaging something like an intake manifold bolt allocation or a clutch basket screw allocation can be a time consuming and possibly an expensive mistake. Check fastener torque using a known good, accurately calibrated torque wrench that is set to the minimum specification for that particular fastener. 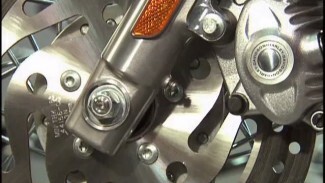 If the Harley hand controls fastener does not rotate, its torque has been maintained. If the fastener rotates, remove it and determine if it had a threadlocking agent upon original factory assembly. If it has a threadlocking agent, clean all material from the threaded hole. Replace the fastener with a new one or clean the original fastener’s threads and reuse after applying the correct amount of threadlocker. Reinstall and tighten the fastener to spec. Magnetic parts trays or bowls are commonly used in, both, service facilities and at home. They are a convenient way to to keep parts from rolling around or from becoming lost during a service or repair procedure. However, hardened steel parts can become magnetized when left in these magnetic parts trays. Metal fragments from normal wear are usually caught by the oil filter or by a magnetic drain plug. Magnetized parts or hardware in the engine can retain these fragments and potentially cause accelerated engine, transmission, or primary drive wear or damage. Never set hardware from inside your Harley’s powertrain in a magnetic parts tray.